Southeast Florida Beaches Real Estate Blog : Mariposa Hollywood condo "Beach House" $535,000 Turnkey, walk to Hollywood Broadwalk! 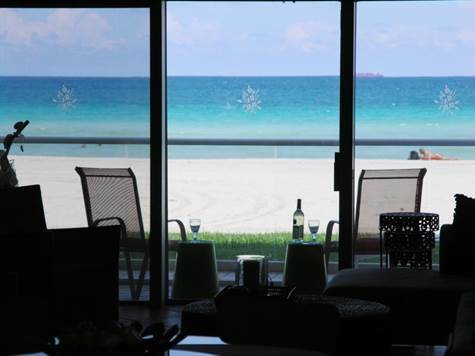 Mariposa, Hollywood Beach - The Mariposa is an exclusive boutique condo right on the sand, units rarely become available for sale – usually they’re scooped up by family and friends of the current owners. It’s just a few blocks south of the Hollywood Broadwalk. The bathrooms are remodeled and not only was the kitchen remodeled, all the walls were removed to totally open it up to the view and the main living areas. New stainless steel appliances, stainless and glass cabinets and caesarstone countertops. The building has just completed the concrete restoration and painting and a newly pavered the pool area. There’s also bocce ball and tennis courts. And the maintenance is very low, just $500 a month! This condo is offered turnkey, it includes all furnishings, electronics, decorations, dishes, silverware, etc ( with the exception of a few personal items). Is this condo still on the market? The Mariposa on Hollywood Beach is a low rise building right on the sand! Units rarely become available here as they're usually scooped up by friends & family of current owners. Please send me your contact info and as soon as a unit comes on the market, I will let you know! I can be reached at 954-668-9056 or email me at Sue@SueWeaver.com.